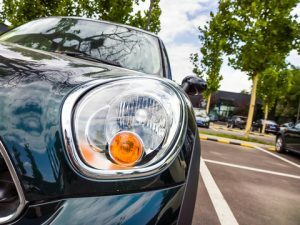 Calling all BMW Mini Drivers and Mini enthusiasts, according to a recent survey by wheel and tyre marketeer – rimstyle.com, Mini is the most googled car in Britain. Especially in the West Midlands and the South East regions of the UK, plus major UK cities such as Birmingham, Manchester, Sheffield and London. production at the British Motor Corporation back in 1959. On slideshare.net – The Brand DNA Analysis: MINI, it writes about Mini’s Core Target Audience and it’s Growth Target Audience, “ young and affluent 20-39 upper middle-income well-educated, living in urban areas who are spontaneous and active”. Recognised for wanting a look that is ‘cutting edge, fun and exciting’. If you own or drive a BMW Mini, then notably you fit into one of these categories. The conclusion is that BMW Mini drivers are cutting edge, fun and exciting people that like to be noticed and believe that their keen sense of car style reflects their own personality. This Christmas are you buying a BMW Mini as a gift or have you put a BMW Mini on your Christmas wish list? Here at Stourbridge Automotive Ltd we support BMW Mini drivers and car owners with BMW Mini servicing and maintenance support. Whether it’s a check over of your newly purchased second-hand car or an annual MOT Test and Service check, we can help to ensure that your vehicle runs efficiently and safely. As a registered workshop for BMW Mini servicing, we will update your vehicle’s service history directly to the BMW AG website as and when each service is completed. The manufacturers mechanical warranty is not affected, and we only use Genuine and OE (Original Equipment) parts and Premium BMW Mini approved oils. To find out more please see our BMW Mini Servicing page or contact us to make a booking.